Earth-friendly technologies are becoming standard in a wide range of industries. These include manufacturing and home construction, among many others. Plumbing services are also moving towards greener technologies as a way to meet the growing demand from consumers. Green plumbing technologies make it easy to reduce the consumption of limited resources, and they can save you money over time. Green plumbing solutions help property owners reduce their energy costs. But the amount of water being used is just one factor in green plumbing technologies. Reducing water consumption can also help to conserve other energy resources such as gas and electricity. Fossil fuels are necessary for the processing and delivery of water. Green plumbing technologies can be used to increase the energy efficiency in home appliances and your home’s plumbing fixtures. The following are 4 new technologies that will make your plumbing greener. Providing your home with hot water is essential to your daily needs. There are many systems available for heating your home’s water supply, and their energy efficiency can vary. The use of solar energy to heat your water is one of the most energy-efficient plumbing technologies being used today. By using the sun’s energy, you reduce your use of electricity and gas to heat your home’s water supply. Sprinkler systems are an important part of the plumbing systems in today’s homes. They provide a consistent water supply to yards, gardens, and other outdoor areas. New sprinkler systems have a high level of water efficiency. They’re designed to use less water when compared to conventional systems, and they utilize unique water delivery methods that more evenly distribute water to the roots of your lawn. These systems maximize your use of water when caring for your home’s lawns and reduce the cost of your water consumption over time. Greywater recycling allows you to reuse the water from your home’s sinks, showers, and appliances. This water contains a lower level of pathogens when compared to water from other parts of your plumbing system. As a result, it can be minimally treated before being recycled for use in other parts of your home. The cost of installing a greywater recycling system depends on a number of factors, and as the technology continues to develop, more homes will begin to use this method to reduce their water consumption. Tankless water heaters use less energy when compared to traditional storage water heaters. They work through the use of a heat exchanger to heat the water. As the water is moved through the exchanger, a constant supply of hot water is distributed into the home. Although the cost of installing a tankless water heater may be higher than that of other types of heaters, it could save you money in the long run. It’s been estimated that tankless water heaters can reduce costs by up to 35 percent. These are 4 new technologies that are making plumbing services a lot greener. They reduce the amount of water used along with the consumption of fossil fuels. This lowers the costs associated with your plumbing while providing the energy efficiency that today’s homeowners want. 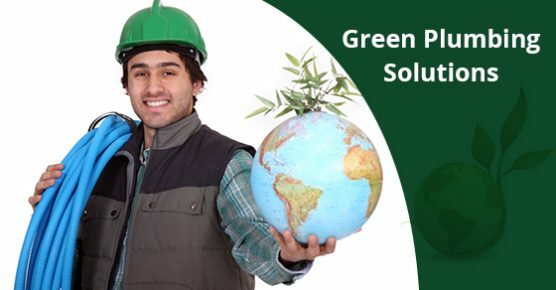 If you have questions about green plumbing practices, or require additional plumbing services, call (416) 769-8800 to request more information.